Yesterday, LGBTI activists Xulhaz Mannan and Tanay Mojumdar have been brutally murdered in the country´s capital, Dhaka. The Hague Peace Projects is deeply shocked and appalled by the way that violence is being used to silence freedom of expression. We urge the Bangladeshi government to protect the rights of its inhabitants and to protect one of the most sacred rights: the right to live. 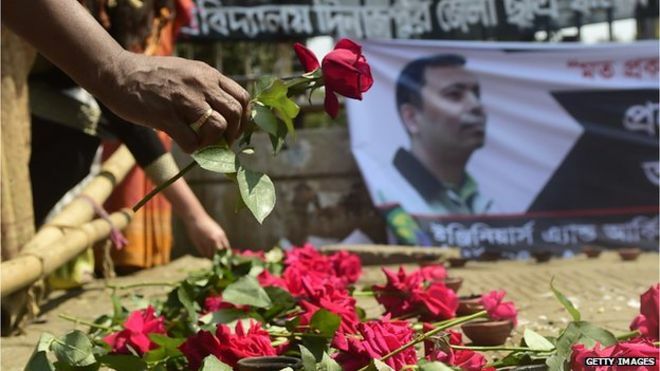 Since 2013, eight Bangladeshi bloggers, writers and publishers have been killed by extremists. They were branded atheist by their murderers and by Islamists. A culture of impunity persists, resulting in more killings every few months. Other than these, people with different religious beliefs and non-beliefs are regularly targeted facing harassment, arrests, mob justice and murder. Like Xulhaz and Tanay, the victims of the attacks are not people who are specifically critical or insulting about religion. They are people who are socially and politically conscious and vocal against many forms of injustice. They are thousands of frustrated young people, asking for justice, living in a country that fails to protect them. It is now time to act.